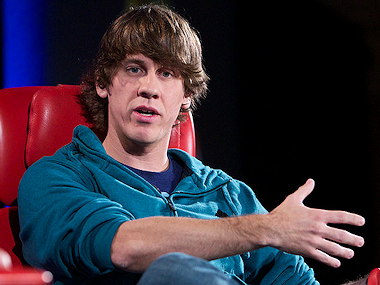 For years, Foursquare CEO Dennis Crowley has been SXSW’s “It boy.” He’s sharp, quick, charming, and it helps that his location-based app blew up at South By for the first time in 2009. But four years on, Crowley finds himself in a different place. Foursquare is in the midst of a major brand and product transformation, and he’s rethinking how he wants to position his company in a crowded social space. What was clear from his talk at SXSW on Monday was what he thought Foursquare hasn’t done well, along with some on what Foursquare wants to be. The early emphasis, as he’s been wont to say over the past year, was placing far too much importance on badges, mayorships and the game-like aspects of the app. That’s not what Foursquare wants to be in the future. The app has pivoted into the location-and-discovery space, aiming to direct users to points of interest based on time of day, check-in history and past data. That’s also where Foursquare hopes to make its money going forward, offering strong tool sets to local businesses and large national companies willing to pay for better analytics services. That’s an uphill battle, considering how Foursquare rose to prominence in its early days. The avid “superuser” fan base would vie to be the “mayor” of a specific location — the person who had checked in the most. This, Crowley admits, was likely one of Foursquare’s early strategy stumbles, along with almost completely marginalizing the discovery capacity of the app. Foursquare’s biggest mistake, in his words: “In terms of product, not putting search front and center from the beginning.” He also wants to reduce the amount of taps and friction for users to navigate the app, and to reimagine how badges and mayorships work in the real world. The issue now is time and competition. Foursquare has 30 million users, a respectable amount of onboarding in the four years the app has been around. But major competitors like Google, Yelp and now Facebook are all delving deep into the local discovery space. Google has Google+ Local. Yelp is Yelp. And Facebook just unveiled Graph Search, an early tool with the potential for changing the way people find businesses of interest, through their friends. Foursquare is also rumored to be in the process of raising a fresh round of venture capital, though it’s facing skepticism from investors who are iffy on the pivot to discovery, and aren’t convinced that Foursquare’s business is growing fast enough. Crowley, of course, continues to champion the “underreported” potential of his company, emphasizing the large growth Foursquare is seeing internationally in Japan, Brazil, Russia and Turkey, and the underestimated power of the company’s place database, home to more than 50 million points of interest. 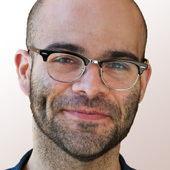 He even cites the potential of wearable computing, like Google Glass or smart watches. “I’m bullish on making it easier for people to consume data about what’s going on around them,” Crowley said. Hopefully, for Crowley and his company, users are, too.